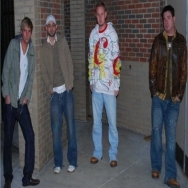 The 25th Hour was formed in 1999 by two fifteen year old cousins, Craig Bryant and Josh Hibbard. The group originally centered on harmony. In early 2000 the cousins added Jeremy Hibbard, Josh's older brother. After trying their luck with multiple bass singers they added Josh hobbs. Although Josh Hobbs was not a bass singer he added that missing ingredient to the group. The 25th Hour was now complete. Influenced by such names as New Edition, Boys to Men and Backstreet Boys, They set out to find producers who could help them write and develope their own unique style of music. Dave Scott, Gerald Chess and Tyrone Richardson proved to be just what they were looking for. Presently the group is doing sellout shows locally and has acquried a large fan base. Their dream is to ultimately have a worldwide fan base. So sit back, relax and enjoy some of their amazine sound.